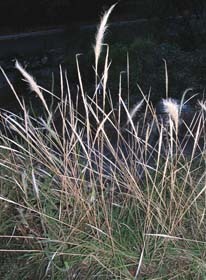 Tasmania has five native species of Dichelachne. They grow in a range of more-or-less open habitats, at low-medium altitudes. They are medium-large sized tufted perennials. 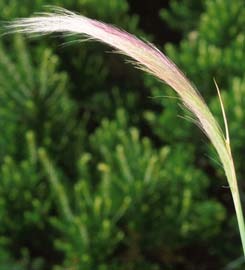 The inflorescence is a fairly loose panicle. 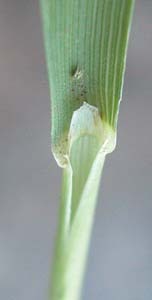 The spikelets have a single flower and have the distinctive feature that the tip of the lemma has a shallow notch with a single long awn attached in the notch at the end of the main vein of the lemma.